During the summer of 2015, Ulster University’s School of English and History, in partnership with Riverside Theatre, devised Bann Beckett, an innovative project for both the university and for the general public. This initiative, its name inspired by the river Bann, beside which the Coleraine Campus is located, is designed to assist learning and teaching at Ulster and also bring together ‘Gown and Town’ in shared appreciation of the work of Samuel Beckett. Events including workshops, pre-show talks and three separate productions of Beckett’s work took place between November 2015 and February 2016. In the first instance, having Godot in the university theatre was marvellous in itself as students could then get the full experience of the play as a performance and reflect upon the requirements of staging and adaptation rather than merely reading and discussing a “flat” text. In addition, the workshop proved to be a very exciting and rewarding occasion for the students as they were able to ask questions which were directly relevant to their course and it was obvious how much they gained from the experience. The actors were very generous with their time and provided fascinating insights into their various roles and approaches to the play. This event was extremely beneficial to developing students’ concepts of the requirements of drama and Beckett’s work in particular, and indeed very inspiring to me as a teacher as it helped challenge the belief in some that Godot was a “difficult” play. The success of the event was demonstrated in a number of ways: it permitted students to gain a means to comprehend Beckett as an accessible and indeed comedic playwright; it gave many their first experience of serious, live theatre; it was reflected in enhanced capability to perform in coursework and examinations; and it inspired many students to develop their interest in drama and follow this up in module pathways over the coming terms and years. Following Godot, in February 2016, Gare St Lazare Ireland presented Molloy. Conor Lovett’s ability to perfectly capture the Beckettian voice and convey the pathos, along with the humour, found in Beckett’s writing, undoubtedly impacts the audience. In a Q&A session following the performance, one woman commented that although she had been reading Beckett for a number of years, and had seen many productions of his work, during Lovett’s performance she felt she had truly understood Beckett. The significance of a statement like this is not to be underestimated and it highlights the fundamental importance of continuing to stage Beckett. Prior to Lovett’s performance, Professor David Pattie (University of Chester) delivered a talk on Beckett’s life and the influences on his work, focusing on the importance of the voice in the writing. The inaugural Bann Beckett ended with Declan McGauran’s intriguing performance in ‘Beginning to End’, which was complemented by a comprehensive pre-show talk by Dr Nick Johnson (Trinity College Dublin), on the genesis of the production. Recordings were made of both pre-show talks and these have been, and will continue to be, utilised in lectures and seminars. Feedback from those both who took part in, and who attended as audience members, show Bann Beckett was everything I had hoped for as theatre manager. It was an entirely new development for the Riverside – we’ve had nothing like it in the theatre’s forty-year history – and audience numbers were most satisfactory. I was particularly pleased that a large group of UU undergraduates met the cast of one of the plays and their encounter is audio-recorded on Riverside’s website. In the final analysis, the plays, the lectures, the group sessions and workshops proved to be highly enjoyable and of immense benefit to the continuing research surrounding Ireland’s greatest playwright. Bann Beckett looks forward to continued collaboration with individuals and institutions in the celebration of the work of Samuel Beckett. The Staging Beckett team, the Beckett International Foundation and colleagues at the University of Reading are deeply saddened to hear of the death of Billie Whitelaw, a close friend of Samuel Beckett’s and a foremost interpreter of his drama. Billie appeared in iconic stage, film and television roles, including playing Desdemona opposite Laurence Olivier in Shakepeare’s Othello at the National Theatre in 1965, and appearing in such films as The Omen and The Krays. However she will be particularly remembered for her long term collaboration with Samuel Beckett. Billie first appeared in Beckett’s Play in 1964, and went on to perform in the premieres of Not I, Footfalls (specially written for her by Beckett) and Rockaby, and the television plays Ghost Trio and …but the clouds…. Beckett described her performance in the BBC television version of Not I (1975), as ‘miraculous’. Billie had a close association with the University of Reading’s Beckett International Foundation since she became the first Annenberg Fellow in 1992 . During her week-long residency she gave a series of workshops and performances for staff, students and members of the public. Over the years she has been an important supporter of the Beckett Collection and was a Patron of the Beckett International Foundation. In 2001 she received an Honorary Degree of Doctor of Letters from the University of Reading. 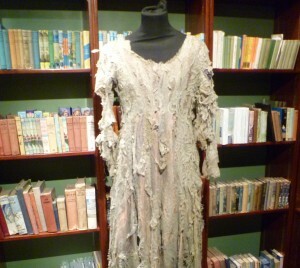 The University of Reading and the Beckett International Foundation recently purchased the unique archive of Billie Whitelaw’s work with Beckett. The archive, funded by generous contributions from the Beckett International Foundation, the Arts Council England/Victoria and Albert Museum Purchase Grant Fund and the Friends of the National Libraries, will be made available to the public as soon as possible. It will be a fitting tribute to a magnificent actress and dedicated friend, muse and favourite actress of Samuel Beckett. The University of Reading and the Beckett International Foundation are delighted to announce the purchase of a unique archive of actress Billie Whitelaw’s work with playwright Samuel Beckett. The £35,000 acquisition, funded by generous contributions from the Beckett International Foundation, the Arts Council England/Victoria and Albert Museum Purchase Grant Fund and the Friends of the National Libraries, was made at an auction at Sotheby’s, London, last week. Billie Whitelaw was Irish writer and Nobel Prize winner Samuel Beckett’s favourite actress. He directed her in several theatrical productions and revivals of his plays. 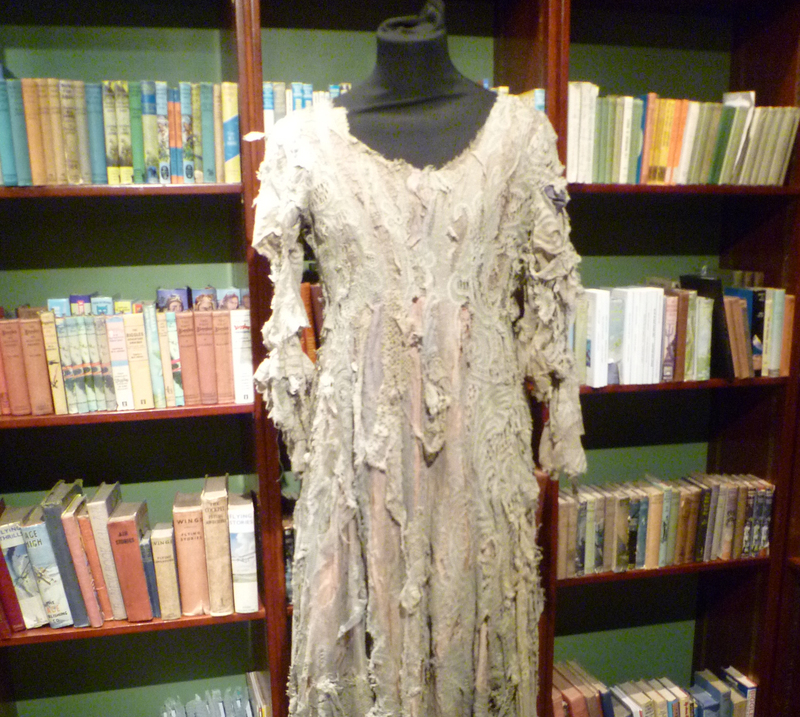 The collection includes correspondence, annotated playscripts, rehearsal notes for some of Beckett’s most famous works, including Play, Not I, Happy Days, Rockaby, Eh Joe, Embers and Footfalls, as well costumes worn by Billie during performances of Footfalls and Rockaby. The items will join the rest of the University’s Beckett Collection, which is the world’s largest collection of manuscript materials relating to Beckett. This will offer anyone with an interest in Beckett’s plays or the theatre – including scholars, students and theatre practitioners – a unique insight into how one of the world’s greatest writers worked with his actors. Billie Whitelaw has had close links with the University of Reading since 1992 when she became the first Annenberg Fellow. During her week-long residency, she gave a series of workshops and performances for staff, students and members of the public. Over the years she has been an important supporter of the Beckett Collection and is still a Patron of the Beckett International Foundation. In 2001 she received an Honorary Degree of Doctor of Letters from the University of Reading. Billie famously performed Not I in 14 minutes at the Royal Court in 1973. The University hosted two rare performances of this iconic Samuel Beckett work which were performed by Lisa Dwan in 2013. The Billie Whitelaw archive will feature in public events (such as exhibitions) and in undergraduate and postgraduate teaching programmes.